Adrenaline fueled, but surprisingly relaxing, you’d be among the masses if you immediately jump to the conclusion that Kitesurfing is for the younger generation. 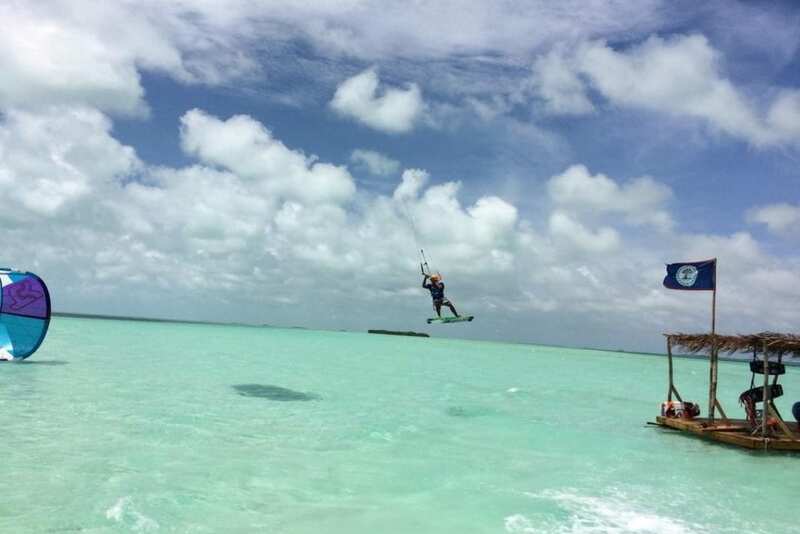 However, you’d be entirely wrong as an increasing number of more mature Kitesurfers are appearing on the scene and those that are trying it are realizing that it is a completely exhilarating sport. Does it require a certain level of fitness? Yes. However, the conditioning that you may lack can be worked on on the water. 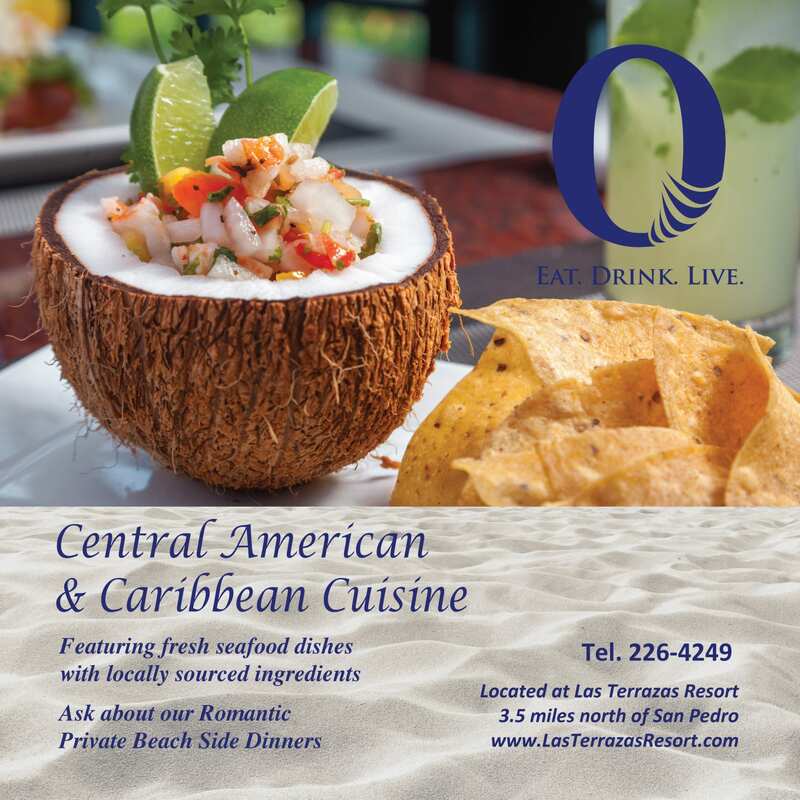 One of the cooler water sports, imagine how good you’ll look gliding over the Caribbean Sea. The first ever inflatable kite was developed in the late 1970s by two brothers from the Atlantic coast of France. It wasn’t patented until the mid 1980s. Nevertheless, the original design has inspired companies to develop and evolve the kites we see and know today. You’d be forgiven however for thinking that kitesurfing is a brand-new sport, as it only really hit the mainstream in 1998 when the very first kitesurfing event took place in Hawaii. Since then, it has grown steadily and if you’re on the coast when the winds blow, there’s a good chance you’ll be able to look out to the water and spot a group of colorful kites gracing the skies above. Naturally of course, there are plenty of people out there making it look incredibly simple. In fact it isn’t the most complicated sport in the world. However, it certainly pays to take lessons from an expert. Mother Nature can be a fickle friend at times, and at the very least you should understand how the tides work. A good teacher will have you learning how to set up and take down your equipment before you get anywhere near the water. They will demand that you learn kite skills before you get anywhere near a board. I speak from personal experience when I say that a kite wants to fly. If you don’t know what you’re doing with it; how to control it or when to let go, it will certainly take you with it. Once you’ve mastered the technical aspects you really can let the water and the wind do all the work for you. It might sound a little cliché, but there’s something very organic about it. If you can learn to tune into the winds and nature element of kitesurfing you’ll progress a lot faster. 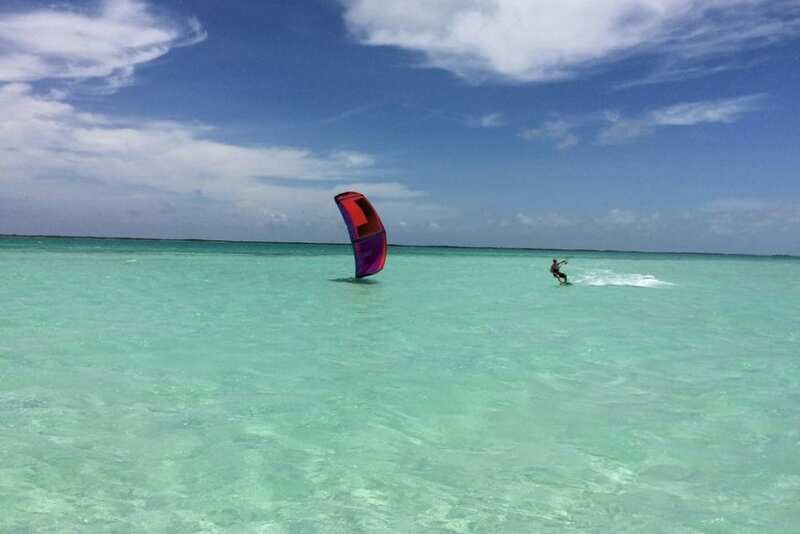 Minutes from the island of Ambergris Caye, you’ll find another perfect location for kitesurfing. 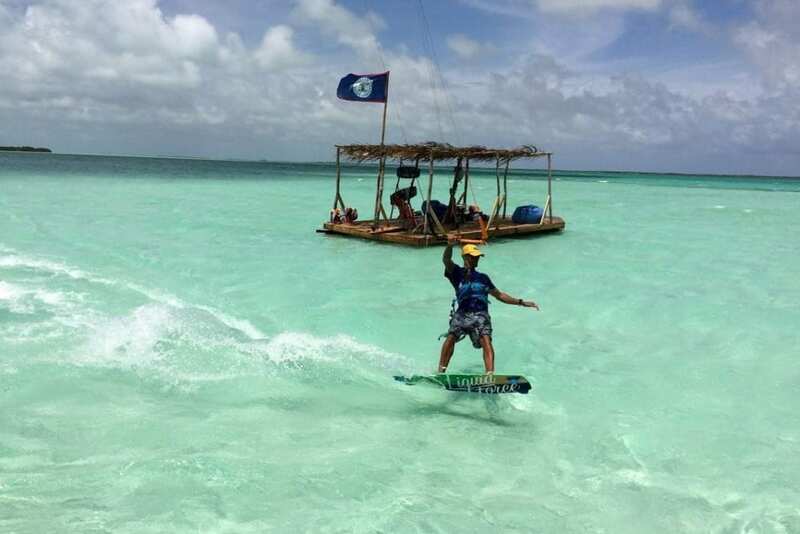 Passion Kite’s pristine sandbar with waist deep water is a kitesurfer’s dream . 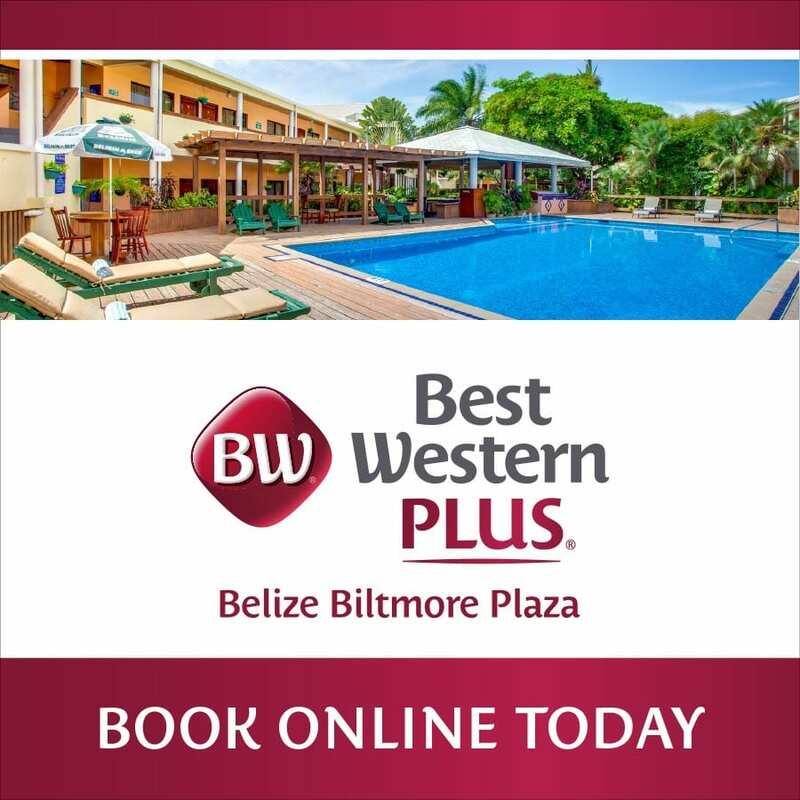 It’s here that MJ Leslie of Passion Kite Belize teaches Kitesurfing when the conditions are right. Offering equipment, and lessons from beginner to advanced, MJ has been kitesurfing for over 10 years and was born and raised in San Pedro. A floating ‘kite lounge’ is your shelter in between rides.